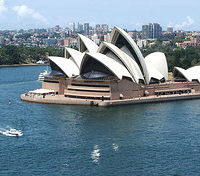 Discover Sydney, Melbourne, and Auckland on informative guided tours. Snorkel the Great Barrier Reef and explore Daintree National Park near Cairns. 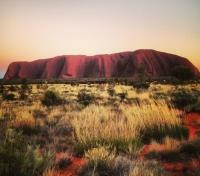 Stand in awe at Uluru, the slumbering giant of Australia’s Red Center. 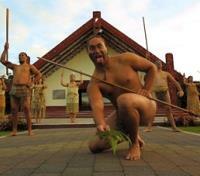 Learn about Māori culture, cruise Milford Sound, and crew an America’s Cup yacht in New Zealand. Neighbors at the bottom of the world, Australia and New Zealand are each compelling destinations on their own. Taken together, they’re something else entirely. It all starts in Sydney, the almost impossibly photogenic capital of New South Wales. First, discover the compelling story of the city’s most iconic landmark, the Sydney Opera House, on an informative private tour that features a delectable tasting-plate experience at the al fresco Opera Kitchen. Later, cross Harbour Bridge to Featherdale Wildlife Park for a face-to-face encounter with kangaroos, koalas, and wallabies before heading deep into Blue Mountains National Park on the edge of town for a chance to witness the Kings Tableland, Wentworth Falls, the Three Sisters rock formation, and other natural wonders. As far as introductions go, few are as dramatic as your first encounter with Uluru, the magnificent tor formation at the heart of Australia’s Red Centre. At sunset, you’ll stand before this sacred monolith and learn about its spiritual significance to Aboriginal culture from an expert at the Mutitjulu Waterhole. With daybreak comes another enchanting experience; a guided walk through Walpa Gorge to meet the 36 domes of Kata Tjuta (“many heads”), a collection of red rock formations whose color shifts as the sun moves across them. It all comes full-circle at night where, from a platform offering an incredible view of Uluru-Kata Tjuta National Park under a blanket of stars, you’ll experience the “Sounds of Silence Dinner,” an award-winning journey into Aboriginal culture featuring folktales and dance set to the haunting strains of a didgeridoo while savoring a meal of bush tucker-inspired cuisine. 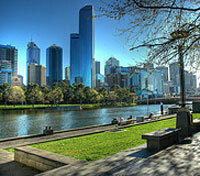 From the Red Center, we head south for Melbourne, the stylish and cosmopolitan capital of Victoria. A richly multicultural city, Melbourne radiates a decidedly European vibe, as you’ll discover on a private tour of its boutique-lined laneways and covered pedestrian arcades. It’s a city that’s also closely tied to the natural world. On nearby Phillip Island, an experienced ranger guide will introduce you to Australia’s largest fur seal colony en route to the Penguin Parade, where hundreds of the tuxedo-clad birds return to their nests after a day in the surf. Across the Tasman Sea lies your next stop: New Zealand’s South Island, specifically Queenstown, the self-proclaimed “adventure capital of the world.” Your first stop here is Milford Sound, a positively breathtaking fjord the Maori claim was carved by Tu-te-raki-whanoa with a magical blade. After cruising the inlet and exploring Queenstown on your own, take to the sky for a delicious buffet dinner at a gondola restaurant that offers unbeatable views of the city. 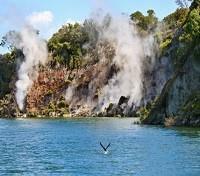 The adventure continues across the Cook Strait at Rotorua, the North Island’s famous geothermal area. Geysers, boiling mud pools, and steaming vents await at Wai-o-Tapu, where you’ll spend a day exploring the volcanic landscape before moving on to Te Puia for a special experience of Maori cultural and hangi, a delicious traditional meal steam-cooked by the heat of the earth itself. Last stop: Auckland, New Zealand’s largest city. After exploring the curious Waitomo Caves along the route from Rotorua, you’ll discover the “City of Sails” via a private half-day tour of Auckland’s scenic sights. Finally, you’ll take to the sea aboard a genuine America’s Cup yacht on a thrilling jaunt around the harbor, a victorious end to the journey of a lifetime. For your comfort, an assistant will be waiting for you outside of Customs holding a sign with your name on it. 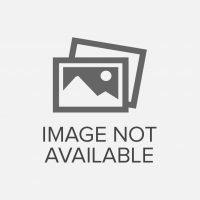 This representative will assist you in meeting your private driver and accompany you to your accommodation in Sydney to assist with check-in. A welcome package with a detailed itinerary, supplier contact list, various brochures of the destinations you will be visiting and any other touristic information that we deem you may find useful will be waiting for you upon arrival at the first hotel on your trip. 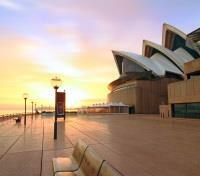 Discover the mystery and majesty of Sydney Opera House Tour on a guided tour of this iconic performing arts center. Become privy to the stories and secrets, some controversial, behind the commissioning and construction of Danish architect Jørn Utzon’s masterpiece and afterward, relax and enjoy a delicious tasting plate for two overlooking sparkling Sydney Harbour. On this Tour and Tasting Plate Experience, you’ll find yourself seated at the al fresco Opera Kitchen, where Sydney’s finest culinary treats are coupled with one of the world’s best views. With a three-tiered sample menu consisting of fresh salads, bread rolls, beef and chicken burgers, dumplings and more, it’s the perfect end to your Sydney Opera House discovery tour. Please note, there are approximately 200 steps on this tour. As well, access to individual theaters is subject to availability and may be limited due to performances, rehearsals or other events. Australia’s largest hotel, the Hyatt Regency Sydney boasts elegant rooms and suites equipped with modern amenities and an array of creature comforts. Located in Sydney’s central business district, this dynamic property is just a short walk from a variety of restaurants and cafes, major entertainment centers and popular shopping districts. Enjoy a great meal at The Sailmaker restaurant or an evening cocktail at Zephyr, a unique rooftop bar, which is also the perfect spot to take in spectacular views of the surrounding area. Discover the best of the Blue Mountains on this small group tour that will bring you to preeminent sites including Kings Tableland, Wentworth Falls and the famed Three Sisters, all while keeping an eye out for the abundant wildlife that calls the region home. After a hotel pick-up, you’ll drive through the historic Rocks precinct – Australia’s first European settlement – passing convict-built cottages and Australia’s first church before crossing Sydney Harbour Bridge. Following a short westbound drive, you’ll arrive at Featherdale Wildlife Park to get up-close with a range of native animals including kangaroos, koalas, wallabies and wombats. Carrying onward, you’ll enter the Blue Mountains National Park, first stopping at a secluded clearing to enjoy morning tea. Roam the area in search of wild kangaroos and birdlife and then set off for magnificent Kings Tableland to bask in the incredible views overlooking the Jamison Valley. Break for lunch at a local café in the heart of the Blue Mountains, then track to Wentworth Falls, a beautiful waterfall found between Blue Mountains National Park and Kanangra-Boyd National Park. You will be guided down a well-worn path towards the falls, taking in excellent views along the way and learning about the geological conditions that spawned the Blue Mountains. 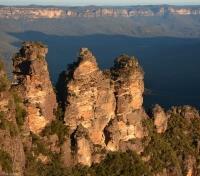 Next you’ll hop into an awaiting vehicle and skirt around cliffs, driving towards the township of Katoomba. At Eagle Hawk lookout you will see the famous Three Sisters rock formation, marveling at the views of the Jamison Valley and then visit Narrowneck Plateau to enjoy a few more outstanding vantage points. Having discovered the essential highlights of the Blue Mountains, you’ll return to Sydney, arriving at your hotel at approximately 5:00 pm. From modern monuments to historic districts with excellent shopping in between, Sydney boasts a variety of activities and attractions for visitors to enjoy, including Sydney Aquarium, Sydney Tower, and the Art Gallery of New South Wales. During your free time, consider exploring the Harbour area with its many cafes, gift shops and gorgeous waterfront, or perhaps head to the Queen Victoria Building to shop at a few high-end designer boutiques. 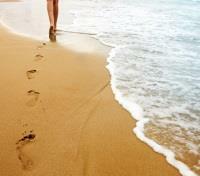 At Bondi Beach, whisk the shores barefoot, enjoying the soft golden sands beneath your toes. With so much to see and do, you’re sure to enjoy your time at leisure in sensational Sydney. A private transfer from Sydney to the airport is provided. Board a flight in Sydney with service to Cairns. Approximate flight duration is three hours and 10 minutes. Please note, this flight is not included and must be purchased separately. You will be privately transferred between your accommodations and Cairns Airport alongside a professional driver. 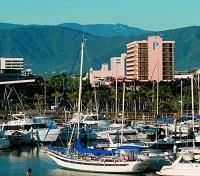 The Pacific Hotel Cairns boasts a magnificent location, personalized service, and award winning hospitality. Located on the waterfront, this hotel introduces you to the charms and beauty of Cairns, boasting its impressive Esplanade of shops, restaurants, art galleries, and other entertainment avenues. The rooms all present a contemporary simplicity and offer grand views of the surrounding city. With the Thrill of the Grill tradition, there can be no better way to capture your Cairns experience than at the Bushfire Flame Grill. With its tropical ambience, the Pacific Hotel will welcome you to Cairns in the style you deserve. Cruise in style to the Great Barrier Reef, the ideal way to experience this famed natural wonder. Enjoy personalized snorkeling, certified and introductory diving lessons, and a glass-bottom boat tour alongside a friendly and professional crew. At pristine Upolu Cay - a coral formation surrounded by crystal waters - set your sights on a moving system, the shape and size of which alters as the currents, wind and waves carve its form. A naturally occurring pontoon, the size and visibility of the cay, and access to it, is subject to a host of conditions; on certain days, fortunate guests will not only be able to spot the cay but also to physically set foot on the formation (this cannot be guaranteed). No matter the weather, this six hour cruise through the Great Barrier Reef will also include a range of scrumptious seafood lunch to enjoy in tow. With an enthusiastic crew committed to catering to your every need, a memorable and safe experience on the Great Barrier Reef is yours to discover. Please note: The cruise operates with a maximum of 75 passengers. Your naturalist guide will meet you at your accommodation and after introductions all round it is time to drive north along the scenic route via Mossman to Cape Tribulation. 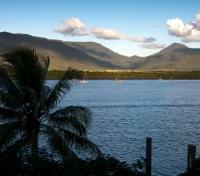 Lush farmland contrasts with seascape as you approach the majestic Daintree River. After a short morning tea break its 'all aboard' for an informative river cruise. Relax and enjoy the splendor only the Daintree can offer as you learn of Estuarine Crocodiles, mangrove forests and wildlife, this is nature at its best! You ascend the Alexandra Range and pause for a panoramic view of World Heritage Tropical Rainforest merging with the azure colors of the Coral Sea. 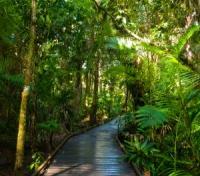 Experience the rainforest intimately on the elevated National Park Boardwalk. Accurate interpretations of flora and fauna will be given with ample time for photographs and questions as we search for the elusive, rare and totally unique Southern Cassowary and other wildlife species within this particular habitat. A delicious barbecue lunch with freshly prepared salads is served while you have the opportunity to hand feed a kangaroo and enjoy a cold drink from the bar. The tour takes you beyond Cape Tribulation along the 4WD Bloomfield Track to pristine Emmagen Creek and time for a refreshing rainforest stream swim. Seek fish and turtles in the creek, butterflies and exotic birds in the trees and indulge in a feast of tropical fruit, a complimentary glass of wine and a cup of traditional Billy Tea, all of which enhance the tranquil surroundings. At Cape Tribulation Beach there is a little time to swim in the Coral Sea (seasonal) or stroll along the beach and boardwalk to the photographers' platform overlooking the mountains and coast where the 'Rainforest meets the Reef'. After a short afternoon refreshment stop, you cross the Daintree River by cable ferry and begin your homeward journey. Please note: This tour departs from your hotel at approximately 6:50 am, returns at 6:30 pm, and operates with a maximum of 16 passengers. 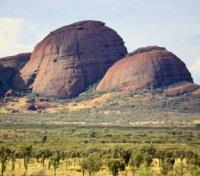 Board a flight in Cairns with service to Ayers Rock. Approximate flight duration is two hours and 55 minutes. Please note, this flight is not included and must be purchased separately. 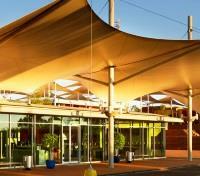 A shared transfer from the Ayers Rock airport to your hotel and vice versa is provided. Waiting times at both the airport and hotels may vary, but are usually on average 20 minutes. Join your guide to explore the most profound and culturally significant monolith in Australia on this small group tour. Begin by traveling to the entrance of the Uluru-Kata Tjuta National Park, then marvel as the spectra of Uluru rises from the sand dunes in a matter of minutes. During your first stop you’ll visit an area that affords an outstanding view to snap a few photographs, and then - with Uluru looming in front of you – your guide will start the journey toward the base of the formation. Walk with your guide to a place of tranquility, surrendering yourself to awe as the sheer size of the monolith comes into focus, then drive around the base of Uluru to reach the entrance of Mutitjulu Waterhole, a semi-permanent watercourse nestled in the contours of Uluru. Here you will learn the fabled creation stories of Liru and Kuniya, as well as a number of other legends associated with prominent tjukurpa stories (or dreaming stories). See firsthand the rock art of the ancients while learning how Uluru was, and still is, a significant location for teaching young Aboriginal people, then adjourn to the new Talinguru Nyakunytjaku viewing area where you will observe an uninterrupted view of Uluru with Kata Tjuta as a backdrop. Following your sunset experience, you will be transferred back to your accommodations. The Desert Gardens Hotel is set amongst the magnificent ghost gums and flowering native shrubs of the Ayers Rock outback landscape. It is located within a short walking distance of numerous vantage points and features what is possibly Australia’s best sunset. Guests can journey along shaded walkways which lead to spacious poolside rooms, some even offering spectacular views of the monolithic Uluru. Relax under the private veranda or courtyard of your room as the sun retreats from view. When the light has faded, dine at White Gums Restaurant and savor Australian native delicacies or feast on the flavors of the a la carte Arnguli Grill. Before dawn, depart from your accommodations and travel to the entrance of Uluru-Kata Tjuta National Park, then make the journey through the desert landscape to the indomitable rock formation to revel in the early morning serenity of Kata Tjuta. With the morning sun on the rise, you’ll pause at an excellent vantage point to set your sights on the 36 domes of Kata Tjuta while the desert comes to life, and later relax and enjoy an outback picnic breakfast on the western flank of the domes. As you approach the entrance to Walpa Gorge, named after the wind that whistles between the massive domes and has shaped Kata Tjuta over thousands of years, your guide will share the significance of this sacred ceremonial site and then grant time for you to saunter between mighty rock walls as you learn how the region and its famed geologic formations have evolved over millions of years. 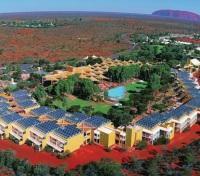 Wrapping up the experience, you will be returned to your accommodation in Ayers Rock. Please note: Departure is between 4:45 and 6:15 am, depending on the time of year. Group size may vary between two and 11 passengers. Dine under the canopy of the desert night while a storyteller shares tales long foretold in the stars during this, the Sounds of Silence dinner. Entered into the Australian Tourism Hall of Fame, the Sounds of Silence dining experience offers the best of the Red Centre distilled into four magical hours. 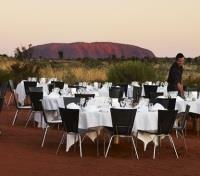 The experience begins with canapés and chilled sparkling wine served on a viewing platform overlooking the striking Uluru-Kata Tjuta National Park. As the sun sets and darkness falls, join your table for an unforgettable dining experience and an introduction to Aboriginal culture as you take in a traditional dance performance under the outback sky. With sounds of a didgeridoo dancing in the air, attentive staff will keep your glass full with a selection of Australian wine and beer as the first course is served. With the night sky twinkling to life, feast on a bush tucker inspired buffet that incorporates native bush ingredients such as crocodile, kangaroo, barramundi, and quandong. You appetite sated, listen to the resident star-talker decode the southern night sky. Locate the Southern Cross, the signs of the zodiac, the Milky Way, as well as planets and galaxies that are visible in the exceptional clarity of Uluru. After dinner, enjoy dessert with a glass of port, tea or coffee. Please note: Each table seats eight to 10 guests, and the program hosts up to 10 tables for a maximum of 100 guests. Please reconfirm your pick-up time with hotel reception upon arrival to your hotel. 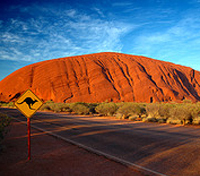 Board a flight in Ayers Rock with service to Melbourne, connecting via Alice Springs. Approximate flight duration is five hours and 20 minutes. Please note, this flight is not included and must be purchased separately. You will be privately transferred between your accommodations and Melbourne's domestic airport alongside a professional driver. 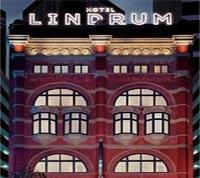 Known as a luxury Melbourne romantic hotel, Hotel Lindrum sits at the core of Australia’s fashion and dining capital, enabling easy access to everything this world-famous city has to offer. With a concept that evokes a true sense of home-away-from-home comfort, the design of Hotel Lindrum features a domestic intimacy that is rarely seen found in hotel properties. Sophisticated yet unassuming, Felt Restaurant has built a reputation as one of Melbourne’s best dining locations. With a style and comfort that one would expect from the building that houses it, Hotel Lindrum is as timeless as its enchanting history.? The lanes and arcades of Melbourne are truly mesmerizing. From the high arched ceilings of the Royal Arcade, opened in 1870, to the rich decorations of the Block Arcade, in operation since 1892, they never fail to impress. Housing a range of family-operated boutique curios, on this behind-the-scenes tour you’ll learn the fascinating history of this cosmopolitan city while being introduced to some of its most interesting districts by a private guide. As you explore myriad passageways, you’ll spot cutting edge street art (or perhaps have the chance to watch as a new mural is designed) and also make a stop at a local chocolate shop for a light tasting. Toward the end of the experience, chat with your guide to develop a plan for the rest of the day or simply continue to explore the area on your own, perhaps returning to a few favorite gems in the afternoon. As this tour operates in all weather conditions, please ensure you are dressed appropriately. Discover Phillip Island’s unique nature experiences and dramatic landscapes. This small group tour will help to further the protection and conservation of the local fauna and flora. Drive south-east from Melbourne to reach Moonlit Sanctuary Conservation Park where, you will meet endangered species, kangaroos, wallabies, and koalas plus an array of colorful birds and reptiles. Your journey then heads to Phillip Island, the home of the Australian Motorcycle Grand Prix and our famous Little Penguins. Upon arrival on the island, depending on the time of year, we will visit Woolamai beach to see surfers riding the waves. From here, visit the western corner of the island to enjoy magnificent views of Bass Strait and the Nobbies, which is home to the largest colony of fur seals in Australia. 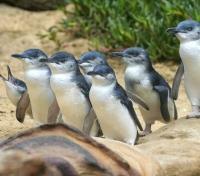 Finally, a trip to Phillip Island is not complete without its black-tie gala event: the Penguin Parade. From the Visitor Center, have a coffee and meander along the boardwalk to the viewing platform to see the little penguins come ashore, decked out in their tuxedos as they hurry off to find their burrows. The tour departs between 1.00 and 2.30 p.m. and returns between 8.30 and 11.30 p.m.
Board a flight in Melbourne with service to Queenstown, connecting via Sydney. Approximate flight duration is six hours and 10 minutes. Please note, this flight is not included and must be purchased separately. 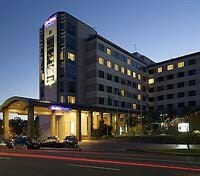 Novotel Queenstown Lakeside is the most centrally located 4-star hotel on Queenstown's lakefront. Step outside your door and into the heart of Queenstown with easy access to all that this premier Four Season lake and alpine resort has to offer. The hotel has delicious New Zealand influenced dining options, WIFI access and complimentary Apple Mac stations, a spa pool as well as professional and friendly staff that make Novotel Queenstown Lakeside the perfect hotel for your Queenstown visit. Travel by luxury coach on an unforgettable journey from Queenstown into Milford Sound. Travel from Queenstown along the shores of Lake Wakatipu, and through rolling countryside to Te Anau. After a short break at Te Anau, continue via the spectacular Milford Road, to Milford Sound. 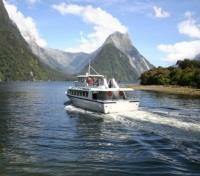 Board the Milford Mariner for a relaxing cruise of Milford Sound. The cruise provides excellent viewing opportunities and plenty of time is available to enjoy waterfalls, rainforest, mountains and wildlife. An on board nature guide provides interpretation in English only. 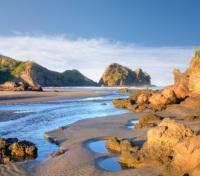 Experience stunning surroundings at the heart of Te Wahipounamu World Heritage Area. In Maori legend, the fiords were created not by rivers of ice, but by Tu Te Raki Whanoa, a godly figure who came wielding a magical adze uttering incantations. Milford Sound (Piopiotahi) is without doubt his finest sculpture. Luxuriant rainforest clings to sheer rock walls washed with waterfalls. In the foreground stands Mitre Peak, dominating the skyline. Whatever the fiord’s mood, teeming with rain or with sun glistening on deep water, it will inspire you. 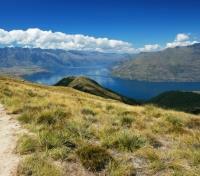 A return transfer by luxury coach to Queenstown is provided. The tour departs at 7 a.m., takes approximately 13 hours and can accommodate up to 120 guests. Queenstown has something for everyone! From adrenaline adventures to food and wine experiences, you are sure to find just the right activity for you. Its natural beauty changes with the seasons, the lake glean in the summer sun, and snow clad mountains tower above the township in winter. Queenstown is a great place to visit all year round and doesn't earn its title of Adventure Capital of the World for nothing. Here, you can bungee jump, ski or snowboard, paraglide, jet boat, white water rafting, skydive, hang glide, jet-ski, and drive quad-bikes to your heart's content! Let us help you plan as much (or little) as you like for your time in this scenic and beautiful region. Ask your consultant for more details! 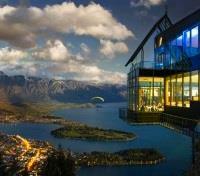 Scenic Gondola ride and Taste of New Zealand buffet of legendary proportions in the Stratosfare Restaurant. The menu is inspired by iconic New Zealand cuisine and infused with international influences, and offers something for everyone - from fresh seafood and delectable desserts to an array of vegetarian dishes. 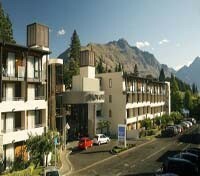 The Skyline complex has fantastic views over Queenstown and towards the Remarkables Mountain range. Whilst you dine, the panoramic view will captivate your night. 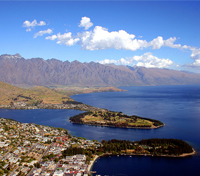 Board a flight in Queenstown with service to Rotorua, connecting via Christchurch. Approximate flight duration is three hours and 30 minutes. Please note, this flight is not included and must be purchased separately. Situated on the picturesque shores of Lake Rotorua, the Novotel Rotorua Lakeside offers tranquil surroundings with sensational views. The central location makes the property easily accessible to Rotorua's cafés, restaurants and many popular local attractions. 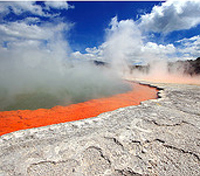 During this four and a half hour tour, experience the amazing geothermal activity, gushing geysers, boiling mud pools and vivid colors within the pools, lakes, craters, steaming vents and mineral terraces of Wai-O-Tapu Thermal Wonderland. Enjoy a Waimangu Volcanic Valley nature walk amid the striking volcanic landscape which provide spectacular views of hot crater lakes, steaming cliffs, hissing fumeroles, colorful silica terraces, rare thermally-adapted plants, as well as the opportunity to see some of New Zealand's native birdlife. This shared tour departs at 8:00 am and operates with a ratio of ten guests per guide. A representative of Te Puia will pick you up from your hotel this evening for a Maori Hangi dinner and cultural concert. Begin the experience with Te Po; an intimate time for sharing knowledge while enjoying food, culture and friendship. Taking place at Te-Heketanga-a-Rangi (The Heavenly Origins), which is an area comprising of twelve monumental carvings reaching skywards – each one representing a Maori deity – you’ll hear the stories of the past and see how these traditions live on today. Feeding guests is regarded by Maori as an honor and a sign of a tribe’s Mana (standing), and as a result, you can expect a lavish banquet meal during the evening. This meal combines contemporary cooking techniques with traditional Hangi (earth-cooked oven meal), where Kai (food) is steam-cooked by hot rocks in the earth, giving it a delicious smoky flavor. Following dinner, you will be returned to your hotel. Enjoy a day trip from Rotorua to Auckland through lush rolling farm landscape to the mystical Waitomo Glowworm Caves. 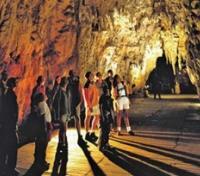 After lunch (own expense) enjoy a guided tour through the galleries and lofty chambers of the Caves. Your tour culminates with a boat ride through the Glowworm Grotto - lit up by thousands of tiny living lights. View the unique Waitomo glowworms, as expert guides provide informative commentary on the Caves historical and geological significance. Centrally located in Auckland, this property is near Queen Street Shopping District, Sky Tower, and Auckland City Hall. Additional nearby points of interest include Auckland War Memorial Museum. Guestrooms have premium bedding, air conditioning, and slippers; rooms also include refrigerators, separate bathtubs and showers, and bathrobes. 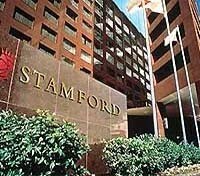 At Stamford Plaza Auckland recreational amenities include an indoor pool, a spa tub, and a sauna. The property also provides a business center, a concierge desk, and a porter/bellhop. Today you will be collected from your accommodation by your private guide to embark on an Auckland city tour. Auckland is set on 48 dormant volcanic cones, is known as the City of Sails, and it is New Zealand's largest and busiest city. Your morning tour is a journey of discovery, designed to not only show you the history, sights and sounds but you also to give you a glimpse of how Aucklander’s live and play. The tour includes visits to Auckland University, Domain and Harbour Bridge, Queen Street and is complemented with stunning views across the Hauraki Gulf and back to the city from Mount Victoria on the North Shore. 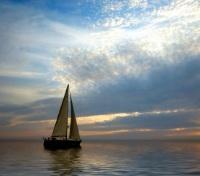 You’ll also visit Auckland’s Weshaven Marina, an excellent example of the city’s passion for sailing. After this privately guided experience, you will be transferred back to your accommodation. The America’s Cup is the world’s oldest sporting trophy and arguably the most prestigious, representing the ultimate yachting accomplishment. Usually the domain of billionaires and elite professional yachters, today you’ll enjoy a very unique opportunity and participate in a sailing on these grand prix racing machines. A must do attraction in Auckland, contribute as crew member on an actual America’s Cup yacht. Perhaps you’ll take the helm, exert energy on the grinders or simply sit back, relax and enjoy the sail; in every case, you’ll experience a once in a lifetime sailing. The trip is subject to route alterations as well as wind and weather conditions, departs from the Viaduct Basin in Downtown Auckland, and group sizes vary between eight and 30 passengers. From November to March, the tour operates daily at 11:00 am and 2:00 pm, and between April and October, daily at 1:00 pm.